Everybody's favorite triblend tee from Bella + Canvas is back, but this time for toddlers! Create something truly unique for your little one on this super soft and comfy t-shirt. 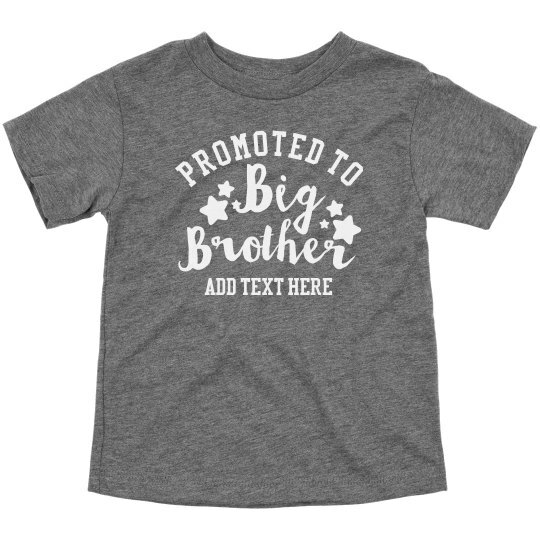 Let your son help celebrate the incoming baby with this promotion tee! Perfect for family photos and announcements, and great for wearing even after the new addition arrives. Add your text at the bottom and customize it to make it suit your family.